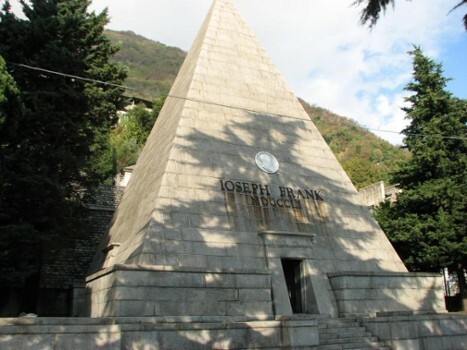 At the entrance to Laglio's cemetery is a curious pyramidal tomb containing the mortal remains of prestigious doctor Joseph Frank. Born in 1771 Frank was a student of physics and medicine in Pavia. He was a pupil of Alessandro Volta, of whom he became a great friend. 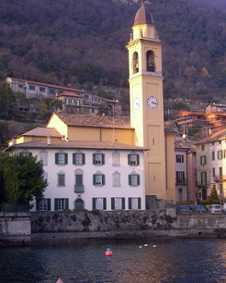 He moved to Lake Como in 1829 and bought Villa Gallietta in the locality of Borgo Vico. He wrote his major opera in Como (Praxeos medicine universae praecepta) and became famous for his generosity to the sick and poor providing free care and medicine. Frank lived however sumptuously, organizing legendary receptions that always impressed guests. 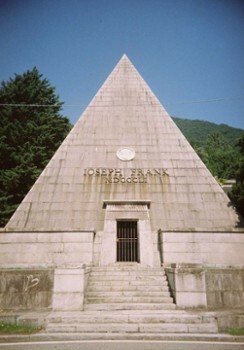 Joseph Frank died on 17 October 1842, but only ten years later was he buried in the great pyramid (local stone, high 20 and a large 13 m) for which he left 25 thousand francs. The pyramidal mausoleum was supposed to be located in Como, near the Tempio Voltiano, but the plan was rejected by the city. Frank left many of his possessions to the poor, never forgetting the most needy. Nearby Things to Do include: Monuments such as Giant Wine Press (Il Torchio) and Monument to the Fallen; Water Activities such as Careno Beach and Lido di Faggeto; Hikes & Walks such as Buco dell'Orso and Porta Travaina; Villas such as Villa Oleandra and Castello di Urio; Towns such as Carate Urio and Pognana Lario; Churches such as San Giorgio and San Martino.